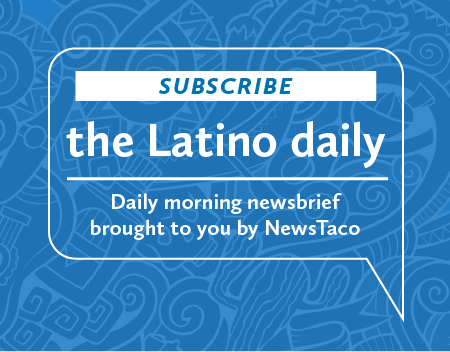 Today's Latino headlines curated for you by NewsTaco. When I think about Julian Castro running for president, I remember a phone call nearly 30 years ago. That was 15 years before I met my friend, who was then attending high school in San Antonio. As for me, I had just graduated from Harvard, and I was back home in the farmland of Central California where, it sometimes seems, everything grows except opportunity for Mexican-Americans. She’s the face of the Houston Ballet, and she’s making history as the first Hispanic principal dancer. Karina Gonzalez started studying dancing in Caracas, Venezuela when she was a young girl. “They sent us to the ballet school instead of the folk school. I actually did get in and I was just 7 years old,” Gonzalez said. More than 5.6 million Americans have possibly unsafe levels of nitrates in their drinking water, and Hispanic residents are the most affected. A new study found that for every percent increase in the proportion of Hispanic residents, the public drinking water water was 2 percent more likely to have nitrate levels over 5 ppm. “In some ways, these seem like small percent increases, but it does suggest overall that Hispanic residents do have a disproportionately high exposure to elevated nitrate levels,” said Laurel Schaider, a research scientist at Silent Spring Institute. Before making up our minds about the “caravans” of people heading to our border or foreign-born folks in suits arriving on international flights, we should look to data on the economics of immigration. The Dallas Federal Reserve Bank published a study last year showing Texas was the fourth largest destination for international migrants to the United States — after California, Florida and New York — from 2010 to 2017. Since 2005, Texas has gained, on average, 94,000 international migrants per year. U.S. Rep. Al Green of Houston sees similarities between the way Latinos are treated now and African Americans were when he was growing up in the segregated South. Green was in Brownsville this week for a House Committee on Administration “listening session” about elections and voting. He also participated, with other African American members of Congress, in a Black History Month event hosted by U.S. Rep. Filemon Vela. “The situation for Latinos is now similar to what it was for African-Americans. I think the state has gone out of its way to paint them as suspects and when you do that you get the same kind of results that you got when you had African Americans who were painted as suspects,” Green told reporters, after the listening session had ended.